Thank you for your support, feedback, and reviews. We recently revisited Alteran Frost, providing it a few (much needed) updates and fixes. 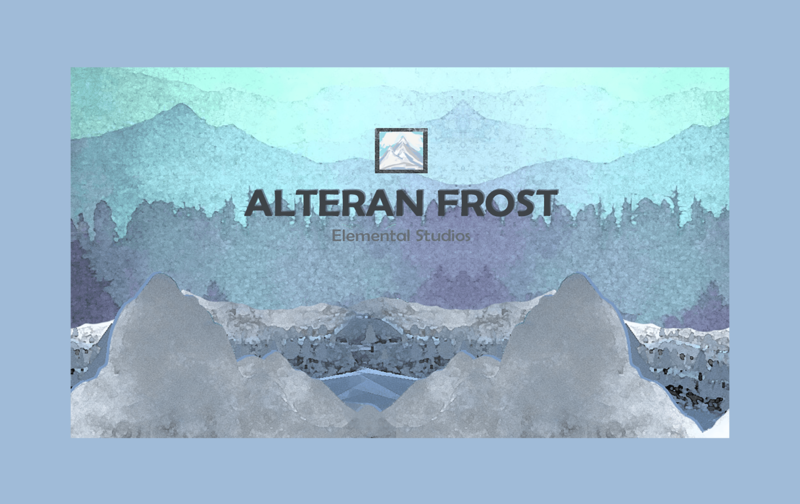 We may, unfortunately, not be providing much more following this for Alteran Frost, however, we do have a new game in the pipeline which very much takes some of the best elements of Alteran Frost. We will keep you all updated. For now, enjoy Alteran Frost! Some keyboard bindings not listed within instructions, have not been added. Fade texture at the start of the game was misaligned. Added dissolve texture to start sequence, to make the introduction a bit nicer. Flashlight issue (not working after respawn) fixed. Cleanup to how the journal works (much faster). Some text in notifications and dialogue was being cut, so have fixed this (will adjust as necessary). Fix to fire placement issue within tutorial (didn't always trigger next dialogue point). Player temp now starting at 37 (was 36 for an unknown reason). Use of a temperature graph, to better control temperature falloff. Update to Interaction mechanics, so to be smoother. Added objective section to the inventory, so what the user is currently meant to do is displayed. Notifications also provide next objective. Reason for death added to death screen. Game now pauses when options ('esc') menu is open (stylistic change). More, and clearer, notifications and dialogue from the user, to help explain what to do next. New prompts for looking at the map. Whole numbers used with player stats (except for body temp). Temp effect of the fire has been fixed, with it providing a very small amount of change, over a large area. Hunger and Hydration now more forgiving. Retexture to rocks, trees, and dead trees. Amalgamation of more of the games assets, into a single material.